Full-time poker pros necessarily play a high volume, which ensures they'll increase the likelihood of realizing edges in skill. Those who play many tournaments often speak of having to endure dry spells between cashes, since the very nature of tournament poker dictates even the best players tend to miss the money more often than not. Meanwhile those who play tournaments less frequently often find themselves unable to think so much about the "long term." As a result, players in this situation often assign too much weight to the result of a single tournament, which not only can produce a negative psychological effect if they miss the money, but can cause them to make less than optimal decisions in the actual event (e.g., avoiding risks when they shouldn't out of fear of busting). 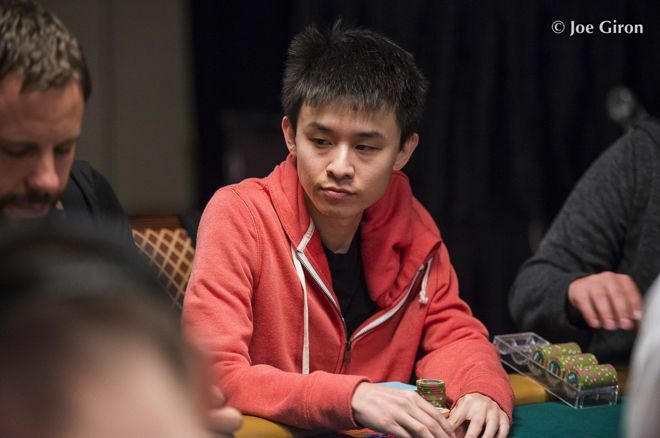 Poker pro Ben Yu recently spoke to PokerNews about this very problem. "An enormous life mistake I see people make is that they are way too invested in doing well in one specific tournament," says Yu. There's a good reason why players who make this mistake "are setting themselves up for torture," Yu explains. While we can control other aspects of our lives and make conscious decisions that will directly affect our enjoyment or prosperity, "poker tournaments don't work that way." The fact that you can play a hand perfectly and still lose ensures that sometimes things aren't going to go your way, which in turn reveals how psychologically punishing it can be to invest too much in a single tournament. Yu gives a good example of a player getting his aces cracked on Day 2 of the Main Event to illustrate his point. Whereas hard work and smart decisions generally get rewarded in other areas of our lives, that doesn't always happen in poker. Yu would survive Day 4 of the Main Event, ultimately busting in 150th place on Day 5. Coming up short there obviously didn't stop Yu from following his own advice, as he quickly jumped into the $1,000 No-Limit Hold'em Double Stack event where he made the final table (finishing fourth). Then after cashing in another event (the $3K H.O.R.S.E. ), Yu won Event #77: $50,000 No-Limit High Roller to cap a fantastic summer and earn his third career bracelet.